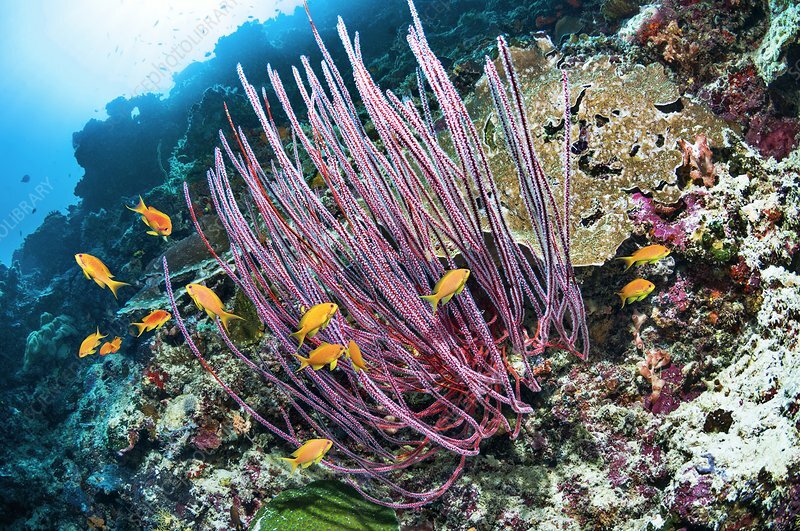 Gorgonian and reef fish. Gorgonian (Ellisella ceratophyta) with lyretail anthias (Pseudanthias squamipinnis). Photographed in Indonesia.